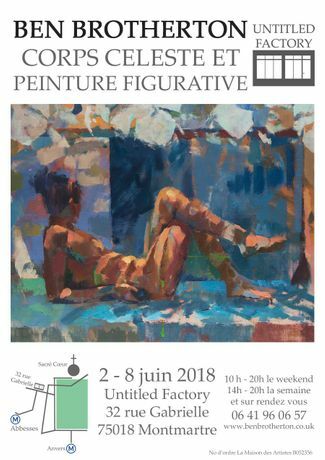 This June we are hosting an exhibition by a British figurative painter living in the southwest of France. 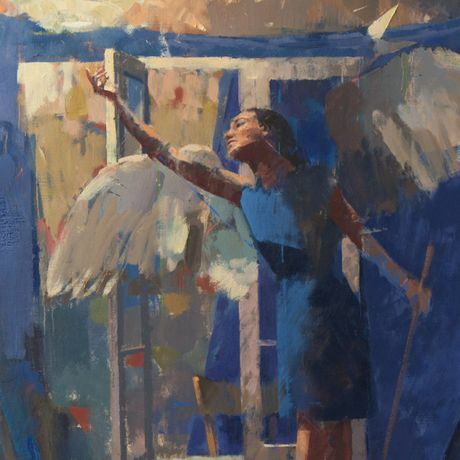 His style departs from realism, to convey the experience and thought, through color. Ben Brotherton is a British figurative painter who has lived in France since 2007. Ben graduated with a BA in Fine Arts and an MA in Painting. His work is a response to the long-held European tradition of observational painting. Ben has exhibited with “The Royal Society of Oil Painters” and “Royal Society of British Artists” in London. In addition, Grandy Art, a London-based gallery, regularly shows his work in England, while in France he has an annual exhibition during Jazz In Marciac festival. Ben is the winner of “Le Grand Nu 2017” contest organised by Life Drawing Montmartre and aimed at promoting figurative art and fine art nudes. For Ben, painting is about tackling pictorial problems - colour and tone, warm and cool, void and charged, freedom and control, ambiguity and clarity. Painting is a game between abstraction and figuration. He is inspired by Cézanne, Chardin, Corot, Matisse and Bomberg. 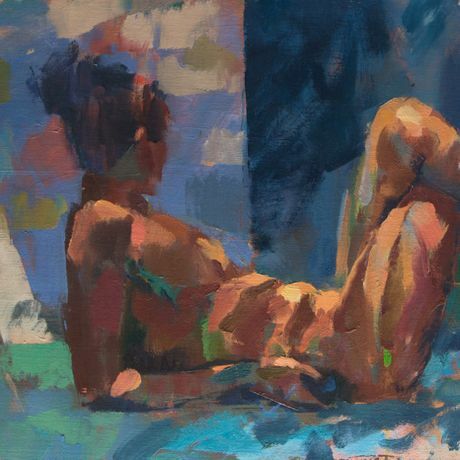 In his studio in the Gers, Ben creates scenes working from live models. Each scene is a pretext for drawing with colour and paint, to create a space on the canvas, while the ever changing complexity of the human form never ceases to amaze him. Ben’s solo exhibit at Untitled Factory, entitled “Corps Celéste et Peinture Figurative”, is strongly influenced by the French masters and the “Celestial Body” project in which Ben attempts to develop an allegory for the calculation of distance between the Earth and the Sun.